From obtaining civil rights for black people to the freedom to marry for LGBTQ people, social justice activists have been paramount in changing our country’s discriminatory ways. At the White House’s South by South Lawn today, Congressman John Lewis, a civil rights leader and one of the organizers of the March on Washington, kicked off the “How We Make Change” panel with some words of advice. Those words by the historic civil rights advocate were an appropriate kickoff to the panel, bridging the civil rights issues of our past with the ones of our present. 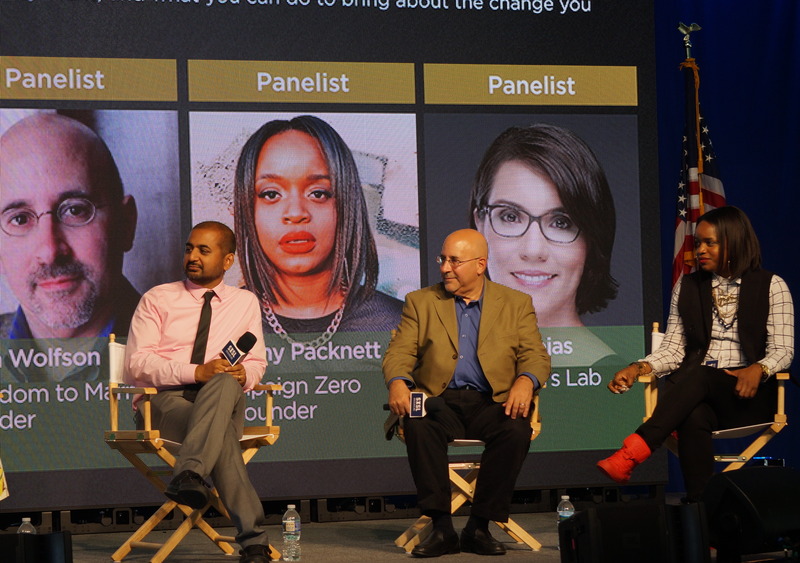 Equally fitting were the panelists (Brittany Packnett, VP of National Community Alliances at Teach For America and co-founder of social justice organization Campaign Zero, Carmen Rojas of The Workers Lab and Evan Wolfson, founder and president of Freedom to Marry) and the moderator, Anil Dash, a technologist and advocate for inclusion and equity in the tech industry. Back in July, Dash spoke up about the police killing of Alton Sterling, noting how both Sterling and Eric Garner were killed by police for “bending the law to a far lesser degree” than executives at tech companies like Airbnb and Uber. For Packnett, two things that really galvanize her are freedom and young people, she said at SXSL. Growing up, Packnett said freedom as a young person was an ideal, and it was clear to her that she didn’t fully have it yet. For Packnett, her tipping point came after a police officer in Ferguson shot and killed Michael Brown, an unarmed 18-year-old young black man. 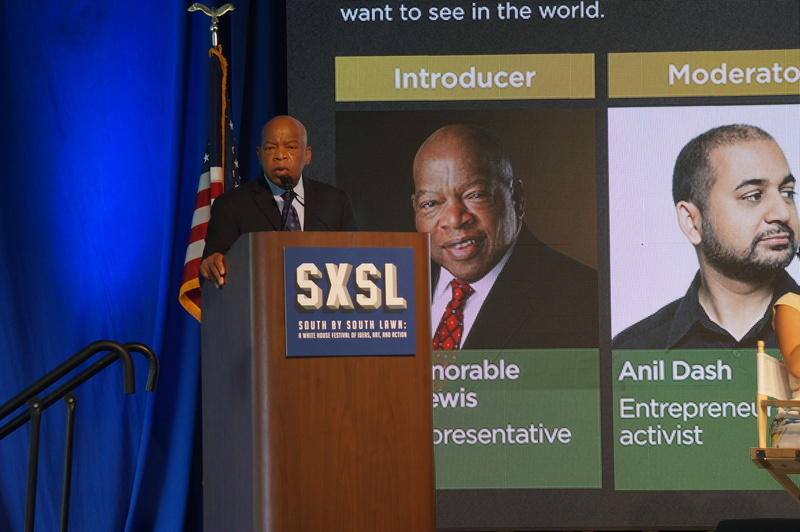 That’s when it became clear to Packnett that in order to achieve freedom for young people, we (black people) were going to need to put our bodies on the line in order to make that happen, Packnett said at SXSL. But getting to a point where there are zero police killings is an audacious goal, Dash said. Packnett agreed, but added that it’s more about how having the audacity to hope in something that big is resistance in and of itself. “Oppression, by design, robs us of our imagination and makes us believe that the only reality is what exists right around us,” Packnett said. After the murders of Alton Sterling and Philando Castile, Campaign Zero launched a widget that would enable people to contact their representatives. Over a thousand people per minute were used the widget for “a certain amount of time” to take action and contact their local representatives, Packnett said. Through Campaign Zero, we all have access to a variety of information and tools to take action around issues ranging from police violence to mass incarceration to unemployment. Just last month, Campaign Zero released a police use-of-force policy analysis that looked at the data from 91 of the 100 largest police departments throughout the country. The team found that police departments with more restrictive use-of-force guidelines have the fewest officer-involved shootings per capita. While Campaign Zero does do a lot of work around police violence, its mission is much bigger than that, Packnett said.